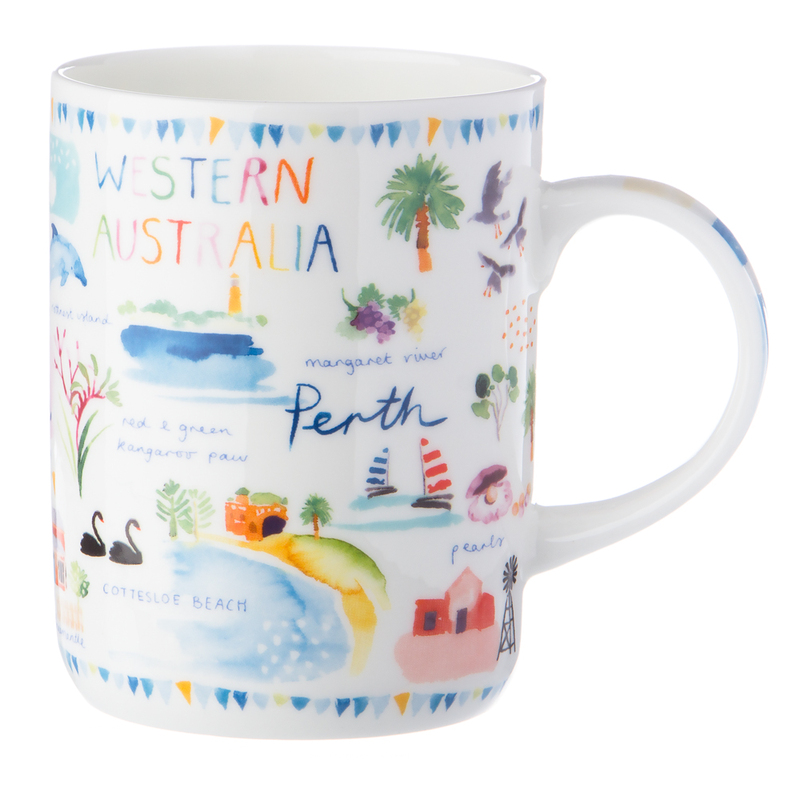 This Canberra-themed bone china Mug features images of the state’s most well-known locations and icons, including the Bungle Bungles, quokkas from Rottnest Island, Margaret River, Cottesloe Beach and more. Australia Down Under mugs will colourfully remind you of why our country is so amazing, every time you sip your coffee… a quirky way to show off your patriotism for sure! Features vibrant and colourful images of the state’s most well known locations and icons, including quokkas from Rottnest Island, Margaret River, the city of Fremantle and more. Presented in an Ashdene gift box. Back of gift box contains a blurb outlining the history of Western Australia.